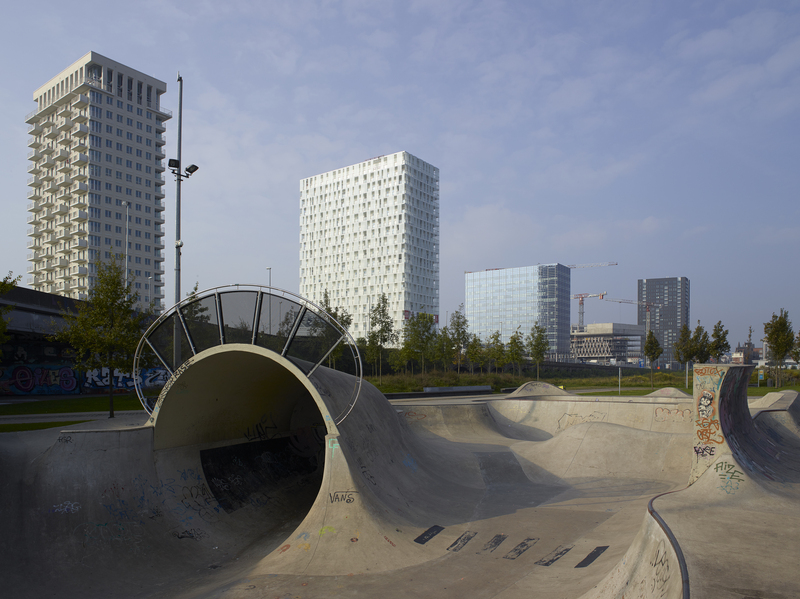 ParkTower is located in Park Spoor Noord, Antwerp, and is located along the main northern entrance of the city. The urbanistic gesture – together with 5 others towers – acts as a gateway to the city. 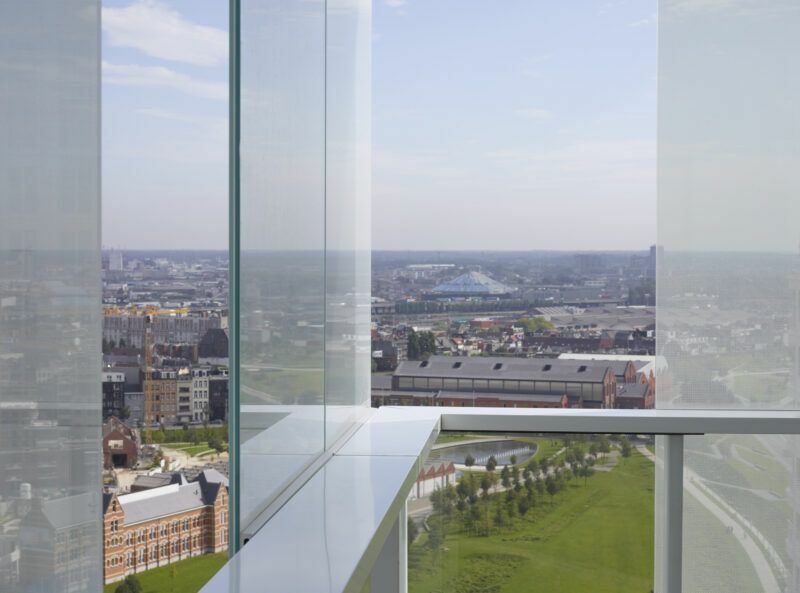 With its striking, white exterior and height of 78 m, it is one of the tallest, in Antwerp, and therefore, plays an important role in reshaping the city’s skyline. 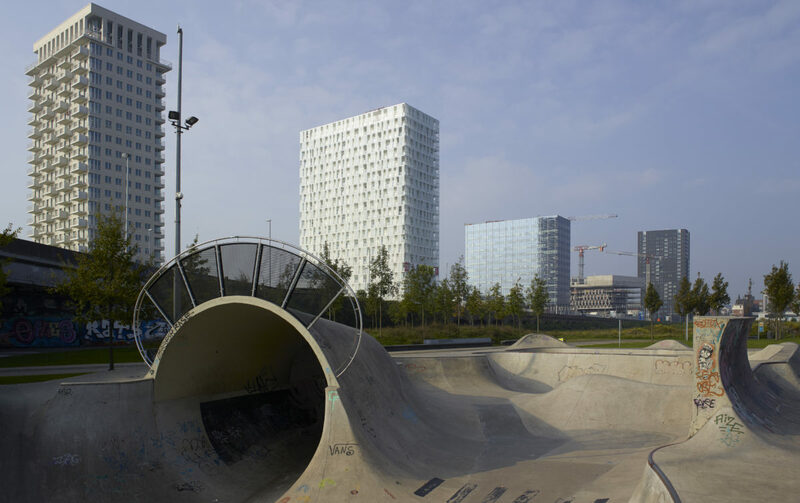 The towers’ design is embedded in the masterplan by Secchi-Viganò for the new development of the former railway yard, and was designed by Studio Farris Architects. The building hosts different dwelling typologies in 20 levels above a commercial ground floor. It comprises of an underground car park, commercial space on the ground floor level, and 360 dwellings above. 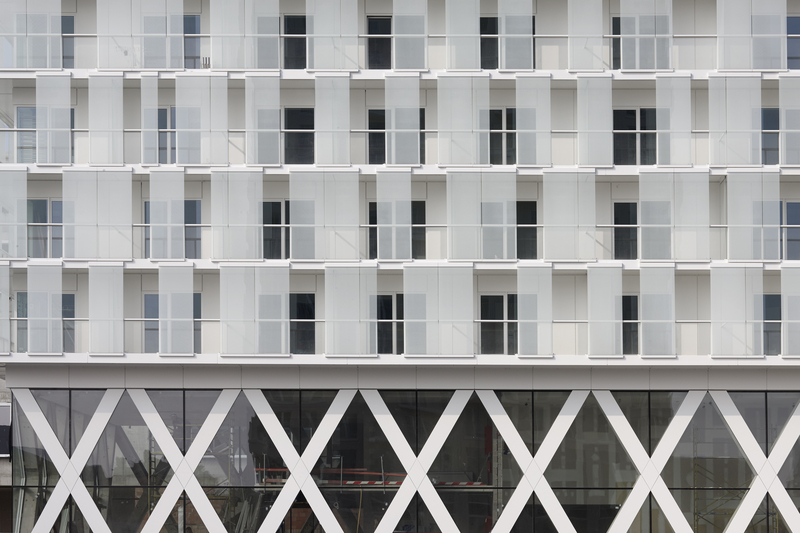 The first 10 floors are made up of 160 studios and 80 student rooms. On the next 10 floors, we find 115 habitation units with 1 or 2 bedrooms and elderly care facilities. 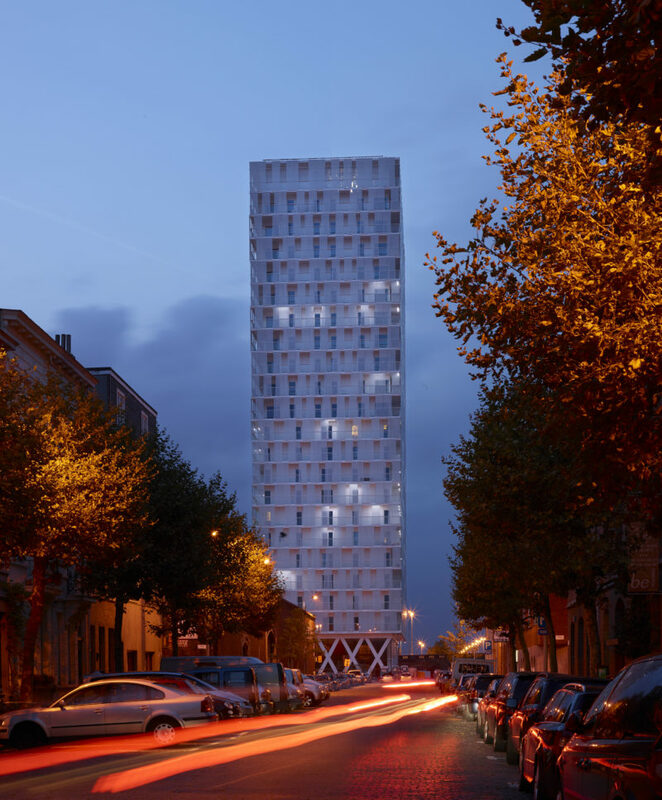 The tower offers an answer to the growing need for comfortable living space for single-person households, students, young couples, expats and the elderly. 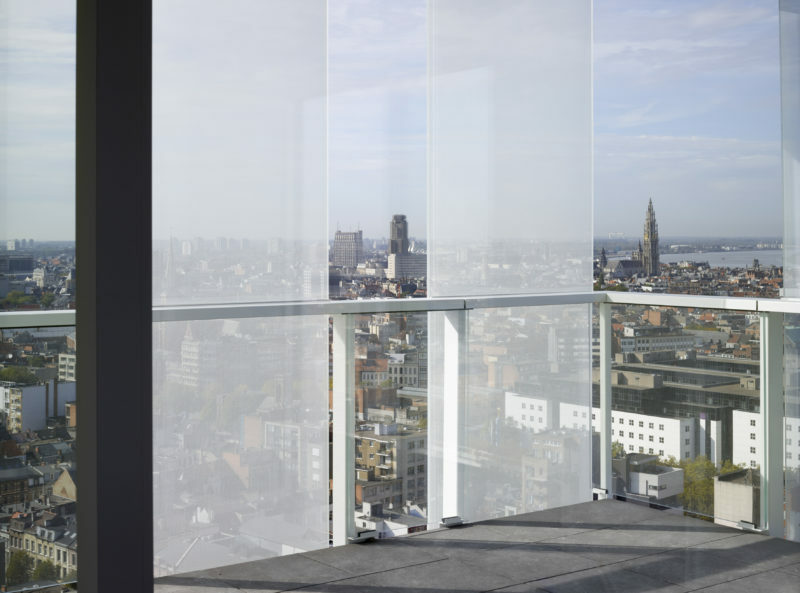 ParkTower was the Popular Choice Winner in its category at The 2015 Architizer A+Awards (New York – USA). Residential towers are always introvert. By creating a double and “living” skin, we expose the intimate life that unfolds within. Since most residential high rise buildings are very introvert, the conceiver decided to create an extrovert tower with private terraces. 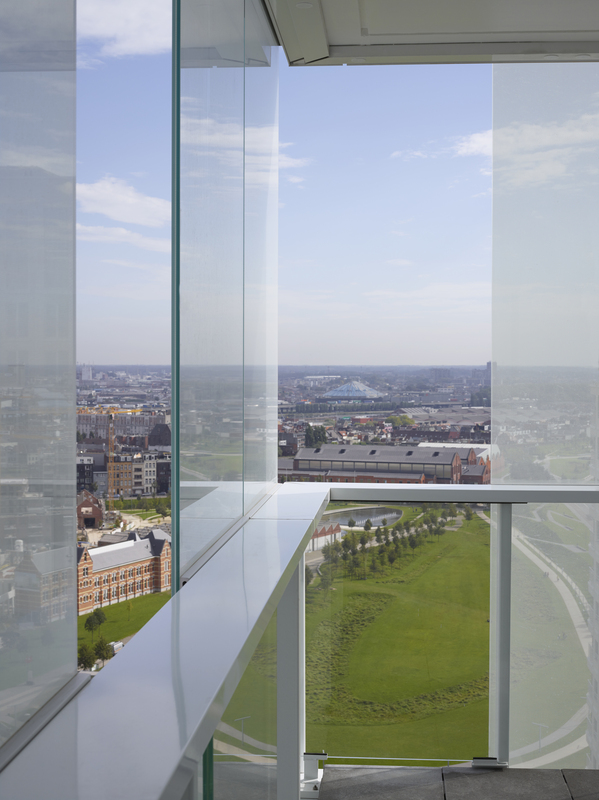 One of the most common problems with high-rise balconies is the exposure to harsh winds, making it unbearable to use it. To upgrade the level of comfort, together with the conceiver , eld developed a particular wind protection concept, of which the effectiveness was validated through computer simulations by the Technical University of Eindhoven. 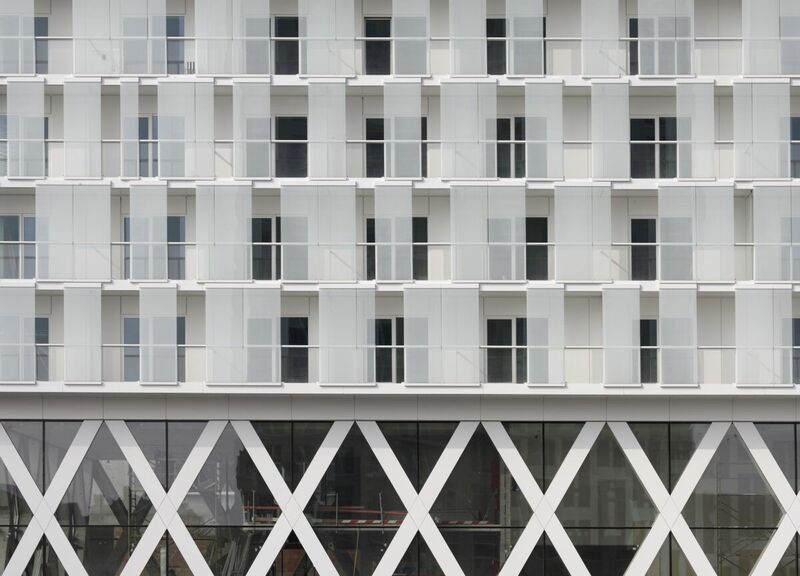 The glass panels that form the outer skin of the building seem to be placed randomly, but this is done in order to reduce discomfort due to wind to an absolute minimum, even at high altitude. In this way, the terraces form a second skin, exposing the private life that unfolds within each single unit, giving the tower an urban and interactive atmosphere. 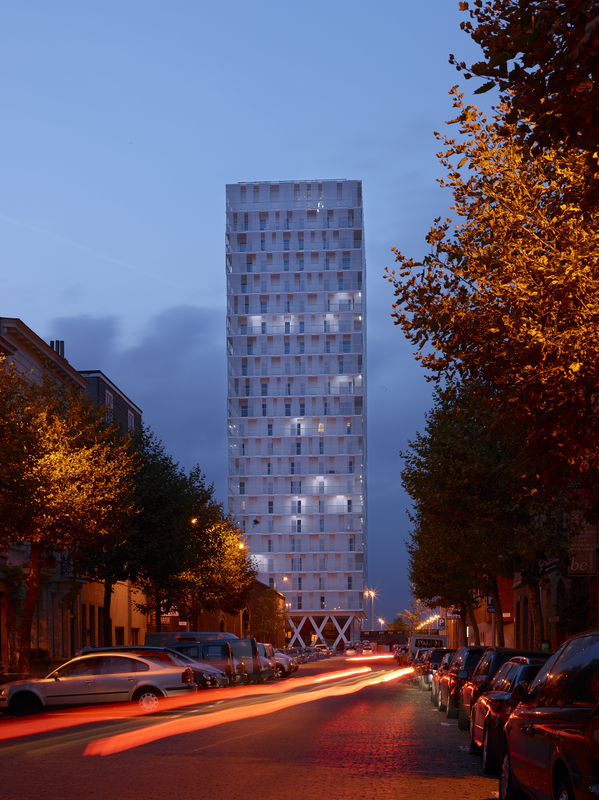 Selected in the category "Groepswoningbouw" for the Belgian Architecture Prize 2015 Nominated as finalist at the World Architecture festival (WAF) in Singapore.